While sorting through my fabric scraps, I was pondering if I should keep so many tiny scraps. I found some of my favourite fabrics – and for some favourites, these small pieces were all I had left. I made up some Scrap Buster Gift Tags, using some shipping tags and price tags that I had in my stash. 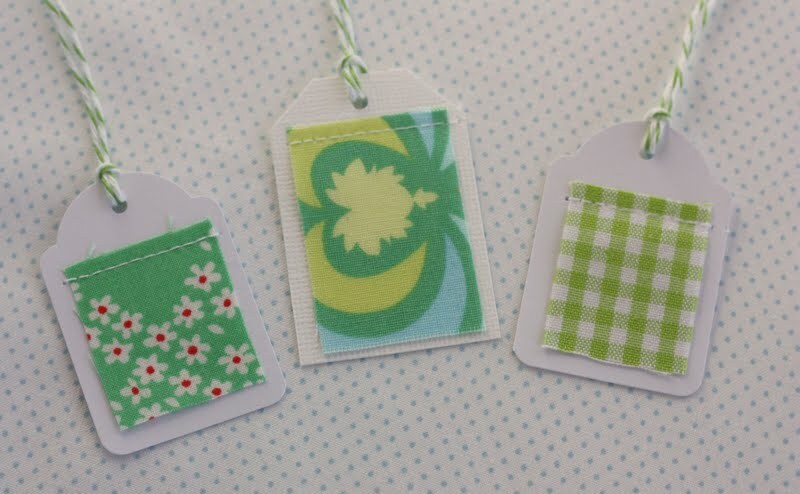 I also made up some small tags using scraps of card. I cut small pieces of fabric to fit the card, and then sprayed them with starch to make the fabric crisp. Using the sewing machine, I stitched the top of the fabric to the tag, and added a length of Divine twine. 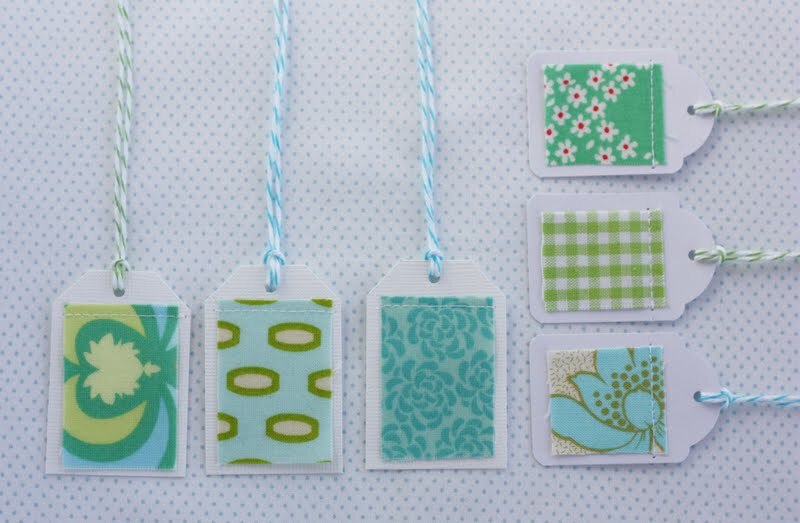 I now have a bunch of pretty tags to attach to gifts. 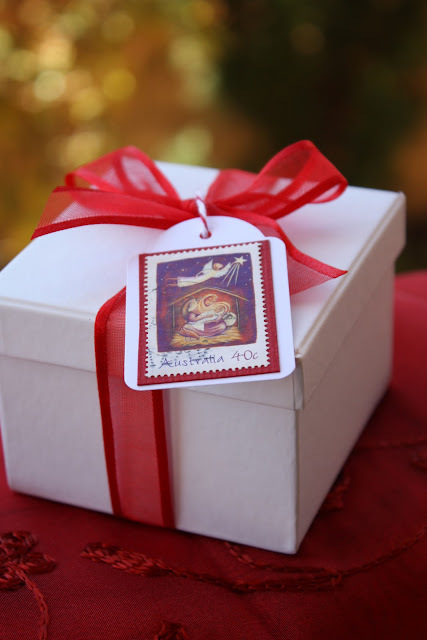 Here are a couple of our past projects featuring quick ideas for gift tags. I love how you have sewn the fabric onto the tags. Another great idea, thanks! Cute idea! I also keep every tiny fabric scrap and this is a fantastic way to use them. The look so nice! Your packaging is divine! Love those tags. Now how darn cute are those things and what fun packages they make! Great idea for those little leftovers! Sigh…I just cut a big handfull of tags yesterday, the sewing machine is already set up, I think I’ll make a few of these right away. Thanks for sharing such a cute little idea. These are so sweet! Thanks for the wonderful idea! 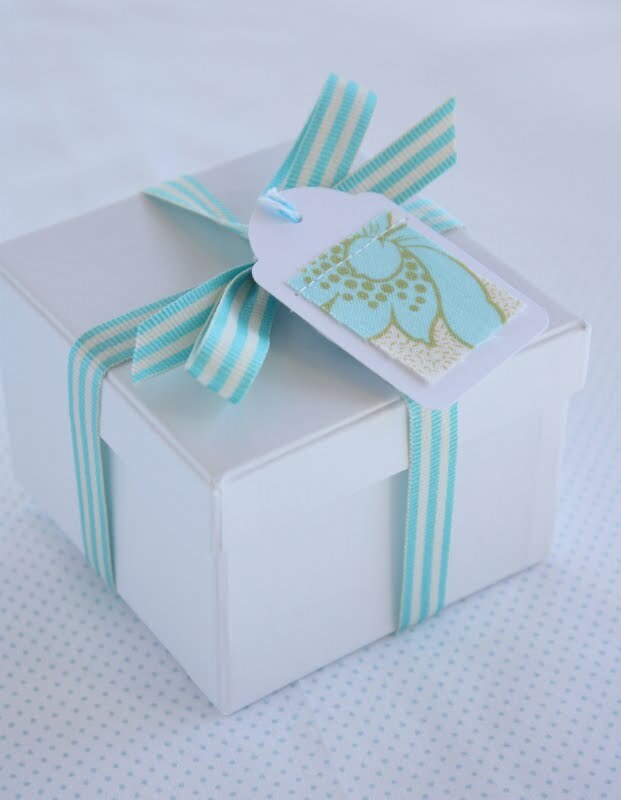 so cleaver and just in time…I have start wrapping presents again after years of gift bags…thanks!! Me encantaron, estupendas ideas, felicitaciones!!! !Para los regalos navideños. Scathingly brilliant idea! (Hayley Mills’ favorite phrase in “The Trouble with Angels.”) Really great way to use all those scraps! Love these! 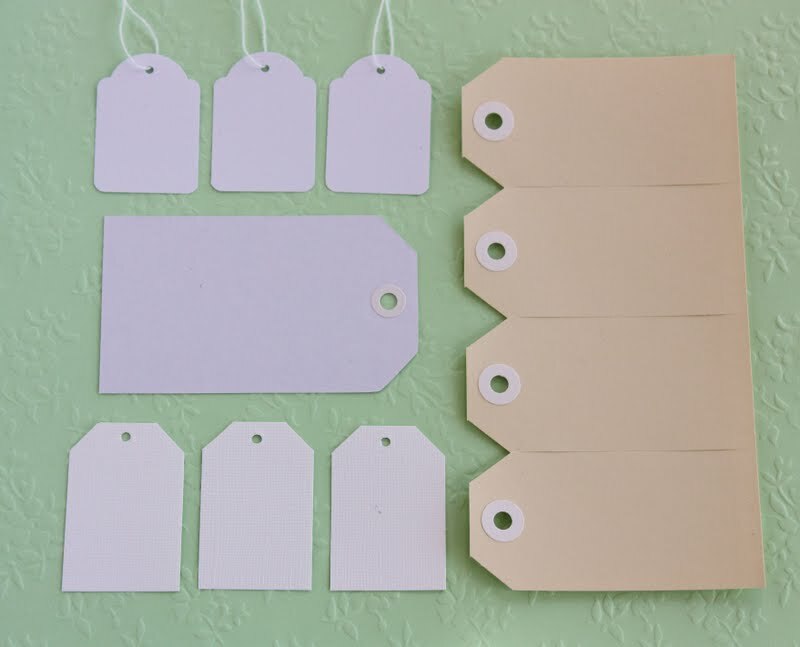 I continue to save small scraps so I love this idea of attaching them to tags. I always love the look of those tags, and now I know a cool way to use them, thanks to your creativity! 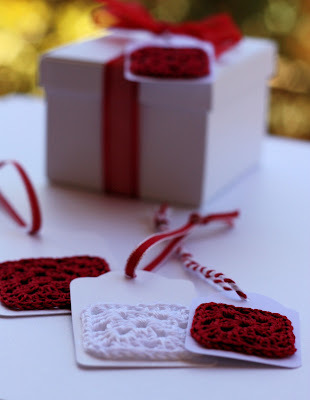 I have a friend who will pop a gasket over those little crocheted tags – sending her the link right away. 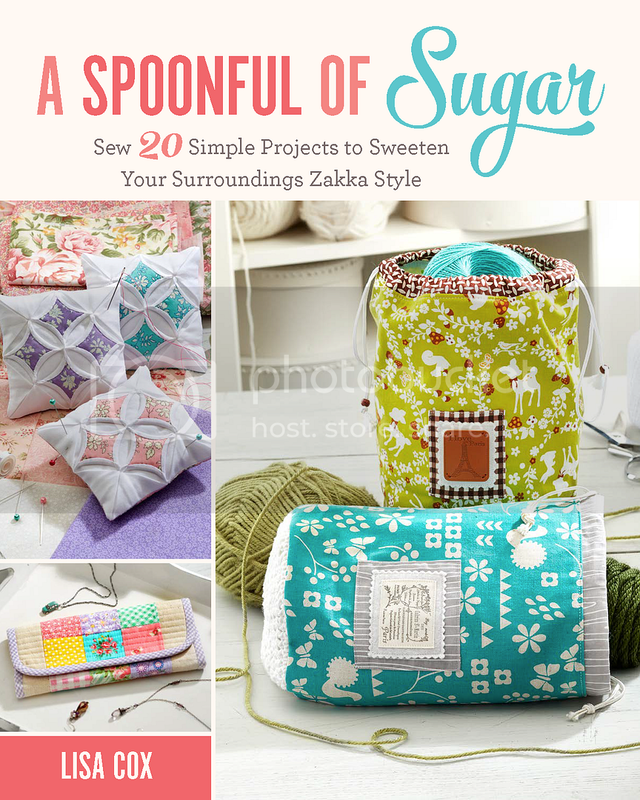 What a brilliant idea for those fabric scraps! I’m going to use this one!! I’m a tag girl as you know, never throw your scraps away. Really what a beautiful packing this all products are having really awesome I have never seen such a good and a beautiful idea of packing in such a way. I am just getting hungry after seeing these beautiful packed products. After seeing a good packaging we like to buy it in other way we are making two progresses in a single beneath. Very clever idea and pretty tags. We all have small pieces of fabric in our work rooms. first i congratulate you for very neat, clean and practical site! Besides a sewer/quilter, I am a paper crafter, so I can make the tags no problem. The problem that I had was throwing out the 1″ square pieces of fabric. You saved me, I now have a way to use them!!!! !